堂東由佳 個展 Yuka Doutou Exhibition "selection"
GALLERY IND. 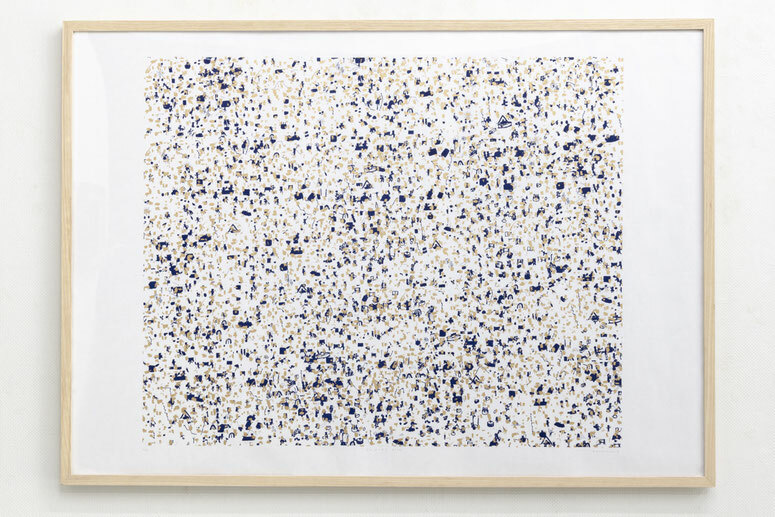 is pleased to announce the solo exhibition by silkscreenprint artist, Yuka Doutou (b.1983). In Doutou's works, most of the motifs are highly characterized, and some of them are so tightly packed that we can hardly distinguish clearly what is depicted on the surface while seeing them in a distance. On the other hand, when we examine them up close, unexpected images such as cats, butterflies, or riceballs appear before us. Also, the multiple combinations of them give us a feeling of humor, funniness, loveliness, or sometimes even a little eeriness. According to the circumstances we feel them, they seem to take on a quite different look. We hope you would enjoy them both at close range and in a distance, searching for the best position to see them. 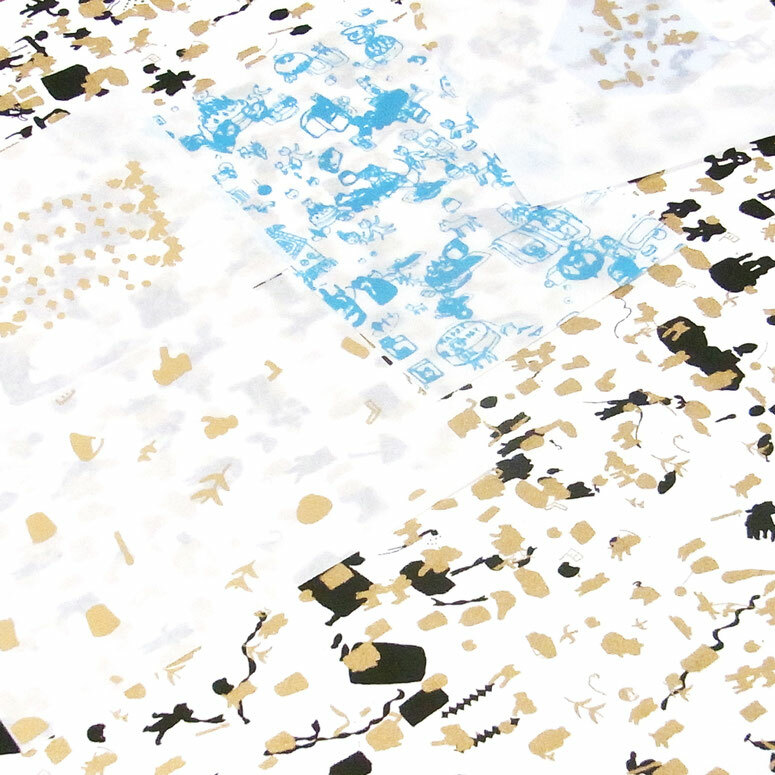 I make my works by means of silkscreen printing on the basis of the drawings of my own making. First, I draw some characters which look lovable but somewhat awkward. Then, I arrange them on the screen of my PC, putting them together or setting them apart from one another again and again. While I’m at work, I always think of the right distance for the viewers to see my works. But sometimes I deliberately make the images not clearly visible or undistinguishable, with the details too small or too complicated. This is partly because I’d like the viewers to see them both at close range and from a distance, and also partly because I like to play a visual trick on them. Motifs of my works are expressed in a laid-back mode but with rather an uneasy feeling. To express one of the main themes in my creation − carefree days, with a bad feeling, for example, I frequently employ the images of cats suffering as a result of bleeding, diarrhea, vomit or fever, trying to create both a swallowing air and an eerie atmosphere at the same time. I like the process of silkscreen print making, through which I think I can produce a lot of works without difficulty and express such a feeling most effectively. Copyright©2008-2019 GALLERY IND.All rights reserved.